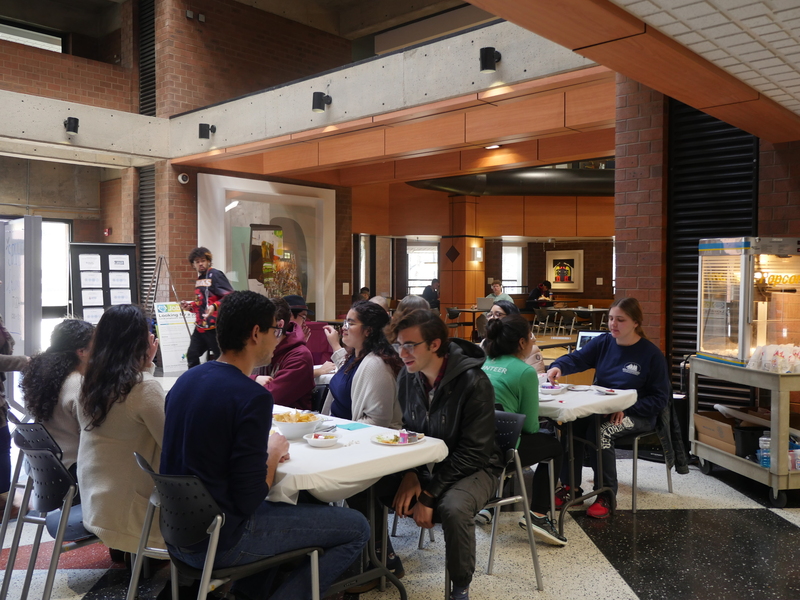 Student ambassadors set out tables, so students could meet new friends over chips and salsa in COM. Photo by Kaytlin Hill, The Campus Ledger. 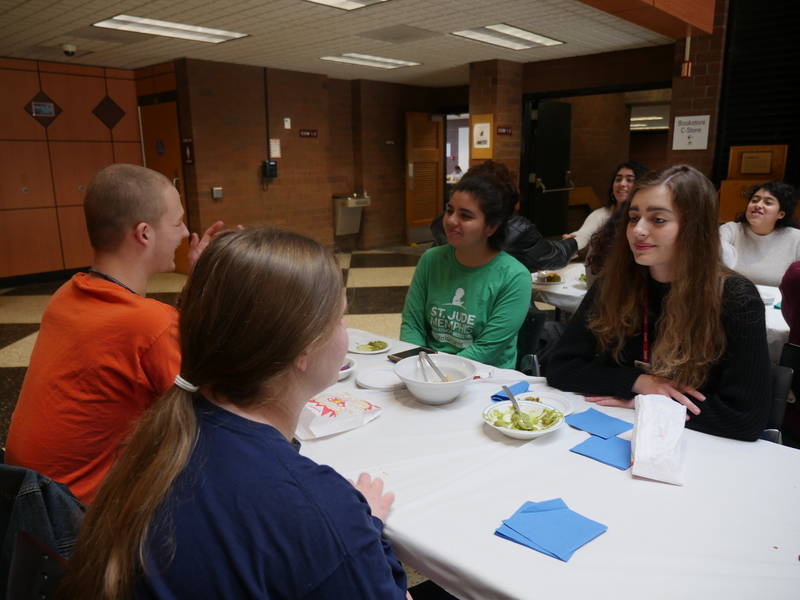 Students had the opportunity to make friends and exchange stories. “I learned that someone electrocuted themselves when they were eleven, Jackelyn Cruz, student, said. Photo by Kaytlin Hill, The Campus Ledger. 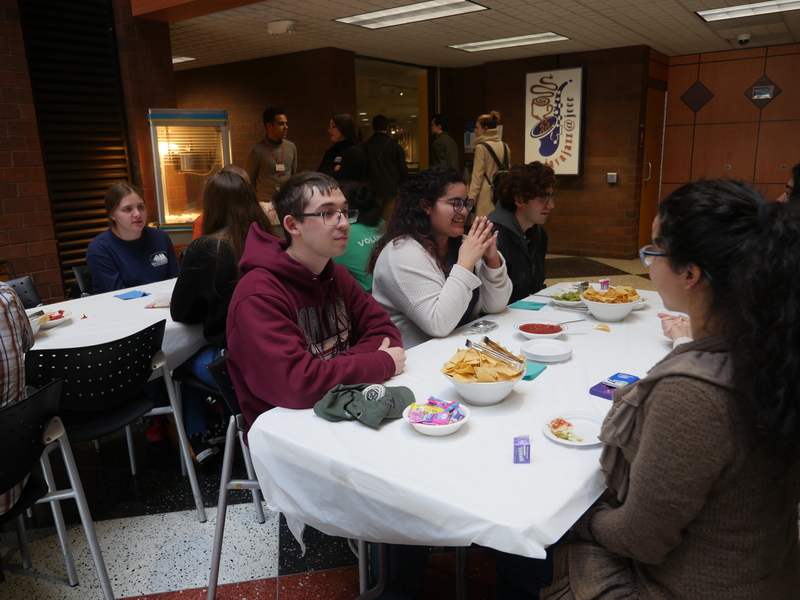 “It’s pretty cool,” Jackelyn Cruz, student, said. 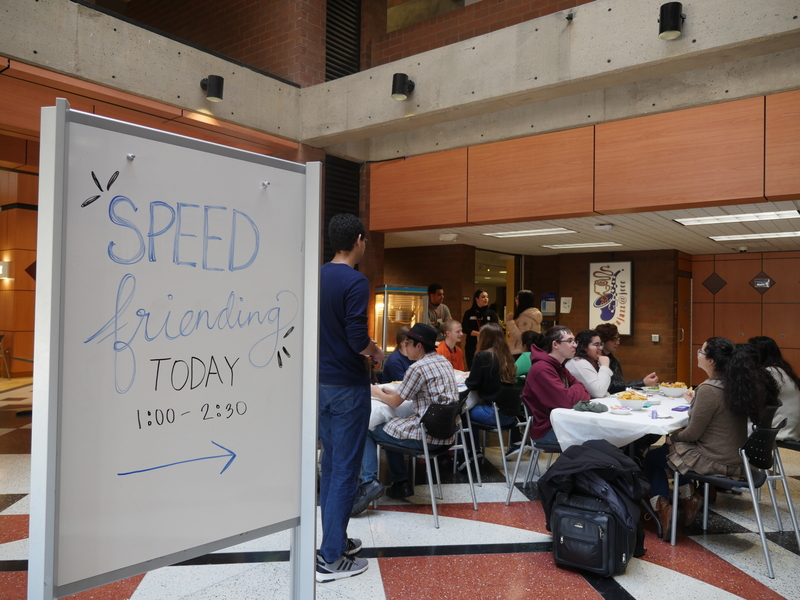 “I think it’s a really good opportunity for people who haven’t had much time on campus and are seeking to make new friends.” Photo by Kaytlin Hill, The Campus Ledger.